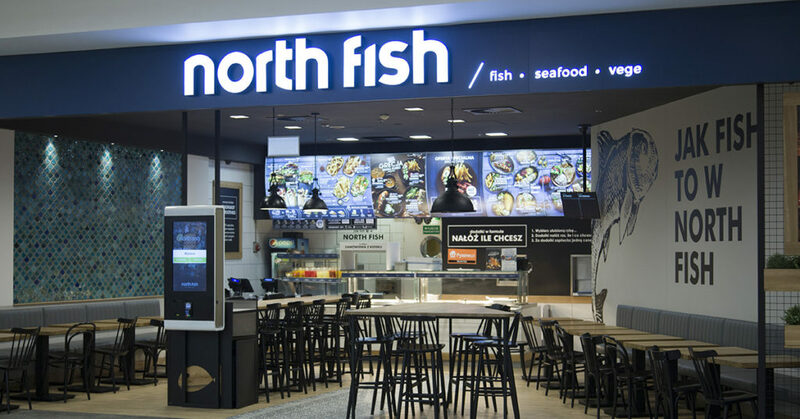 Kolejne restauracje North Fish z nowym logo | North Food Polska S.A.
North Food is continuing the process of rebranding North Fish. From August 21, the new logo will adorn the façades of the restaurants at Galeria Krakowska, located both at the entrance to the Main Station and in the restaurant area. The changes will gradually be introduced to more premises in Poland in the immediate future. 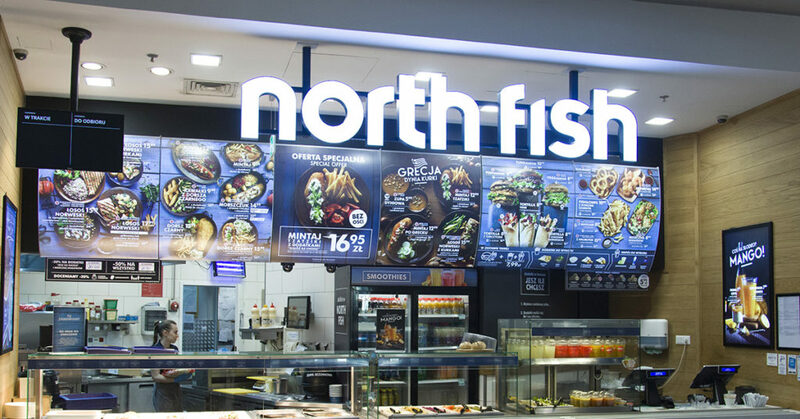 Apart from the two restaurants at Galeria Krakowska, the new North Fish logo can also be seen at the Bonarka City Center, C.H. Ogrody, Galeria Morena, Forum Gdańsk, Galeria Bałtycka, Silesia City Center, C.H. Riviera and Galeria Sudecka.